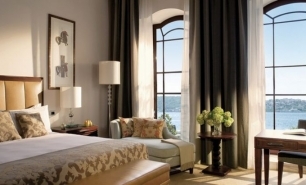 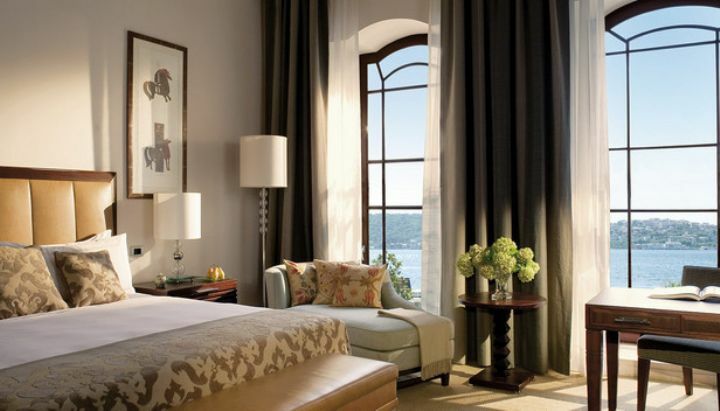 Four Seasons Istanbul at the Bosphorus is in a beautiful location in a renovated 19th century Ottoman palace on the European banks of the Bosphorus Strait. 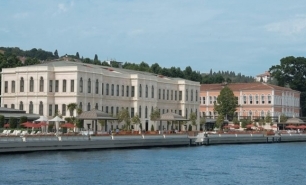 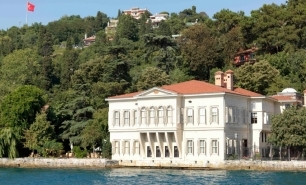 It is located close to the famous Dolmbahce Palace and Besiktas Square. 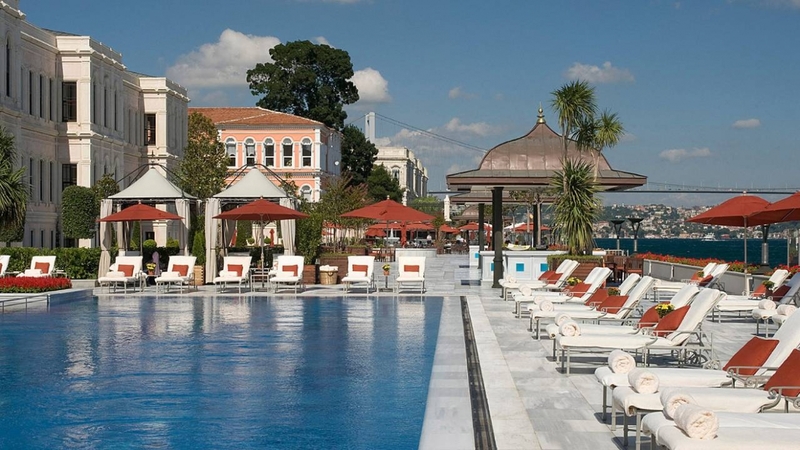 Taksim Square is a 15-minute drive from the hotel, while Sultanahmet district and Topkapi Palace are a 25-minute drive away. 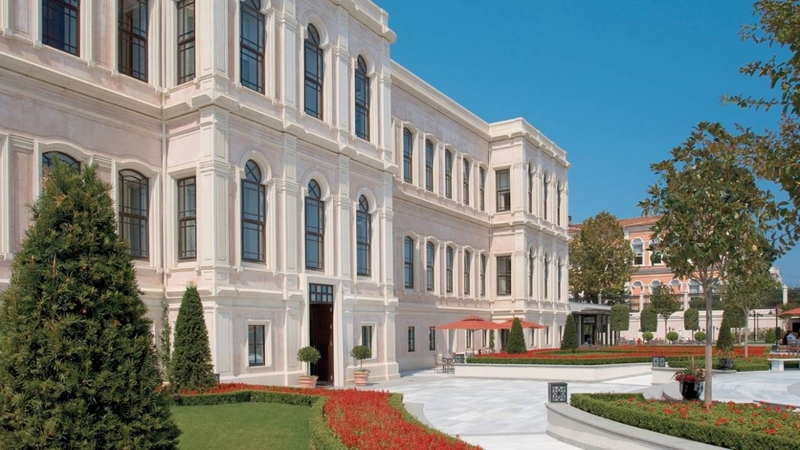 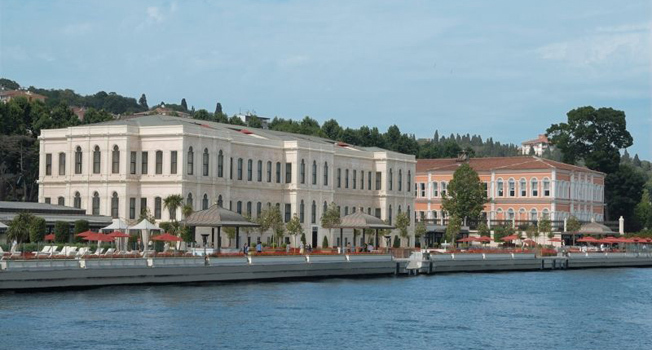 The Palace wing has an expansive courtyard and an outdoor terrace with a large pool overlooking the Bosphorus. 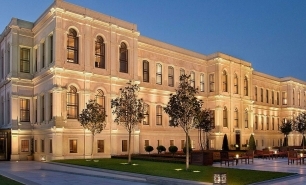 The hotel has a total of 145 spacious guest rooms (45sqm) and 25 suites (60-377sqm) located in the original palace building, and two new wings adjacent to the palace which were completed in 2008. 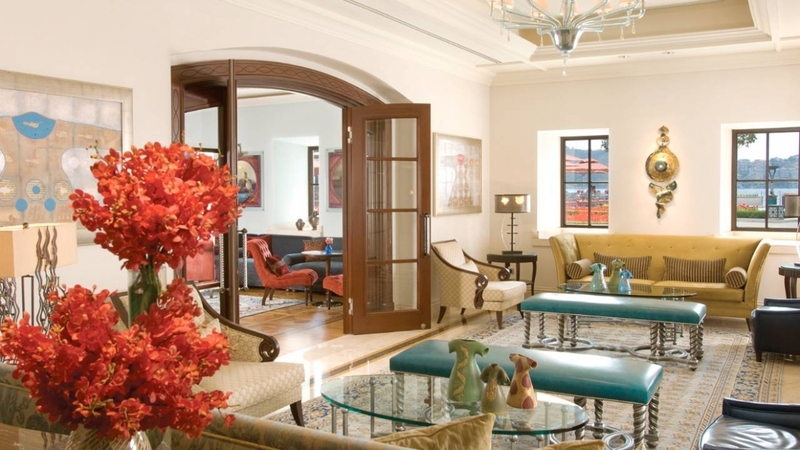 The style is a blend of traditional Ottoman design, perfectly complemented by contemporary furnishings. 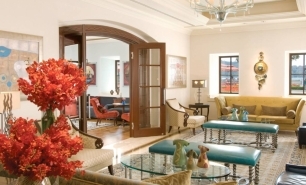 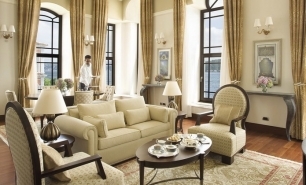 Some of the palace rooms offer spectacular views across the Bosphorus Strait onto the Asian banks of Istanbul. 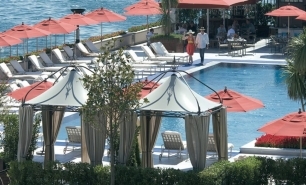 The hotel's main restaurant, Aqua, serves Mediterranean cuisine and Italian and Turkish specialty dishes. 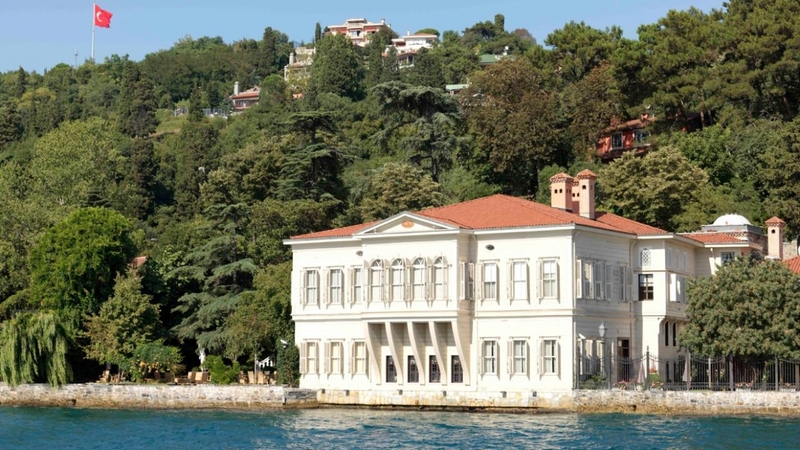 The restaurant overlooks the Bosphorus with its vibrant maritime traffic. 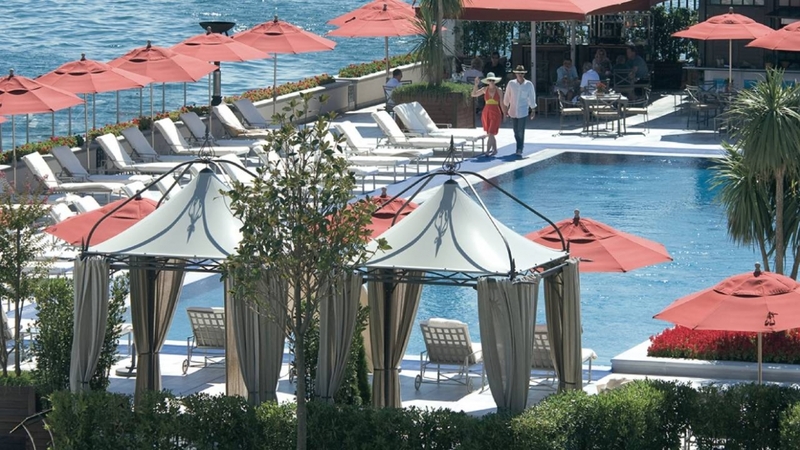 There is also an al fresco Pool Bar and Grill and a contemporary and spacious Lobby Bar and Lounge. 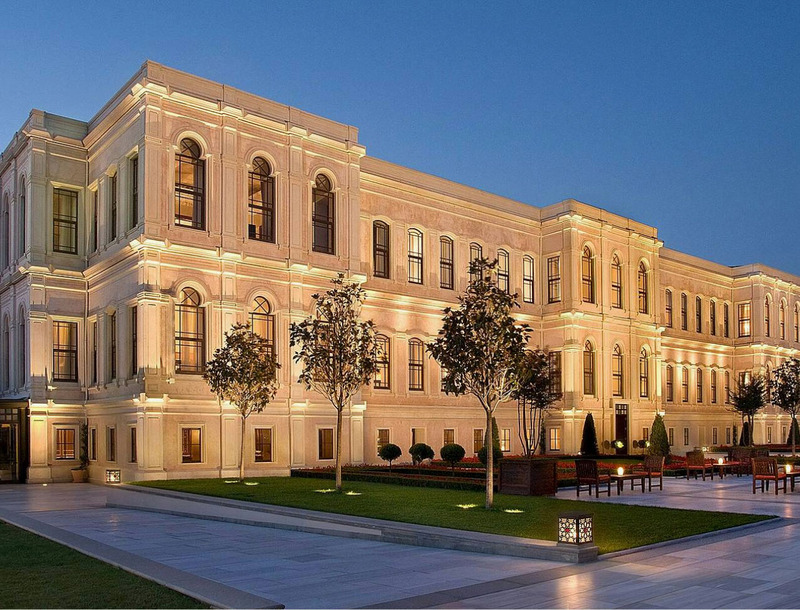 Beneath the Hotel’s terrace is a 2,100 sqm spa, sky-lit from above, featuring three Turkish baths and a large indoor swimming pool. 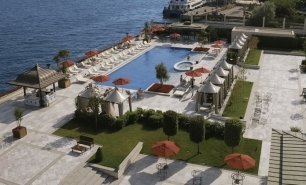 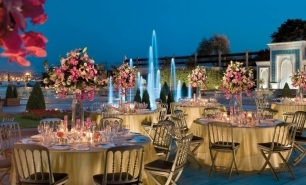 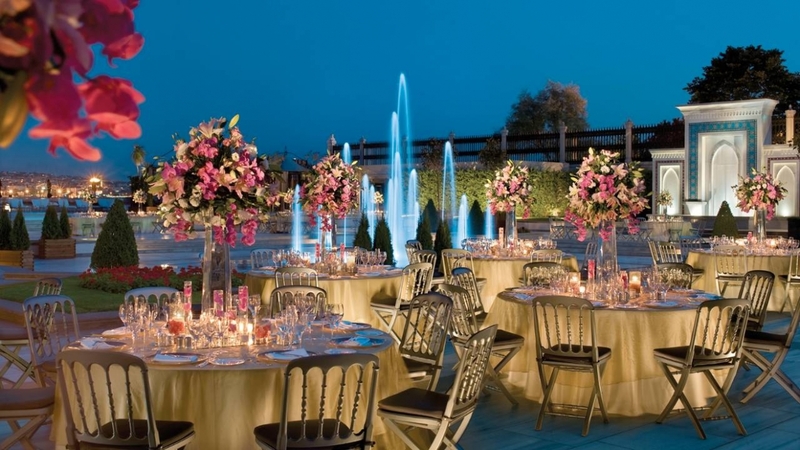 There are extensive outdoor facilities, including a heated pool and whirlpool, bar pavilions and the Wedding Garden all located along a 190 m (623 ft) waterfront terrace, framed by the Bosphorus. 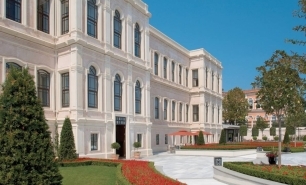 The Four Seasons Hotel is 25km (45 minutes by car) from Istanbul Ataturk International Airport (IST) and 40km (60 minutes by car) from Sabiha Gokcen Airport (SAW).